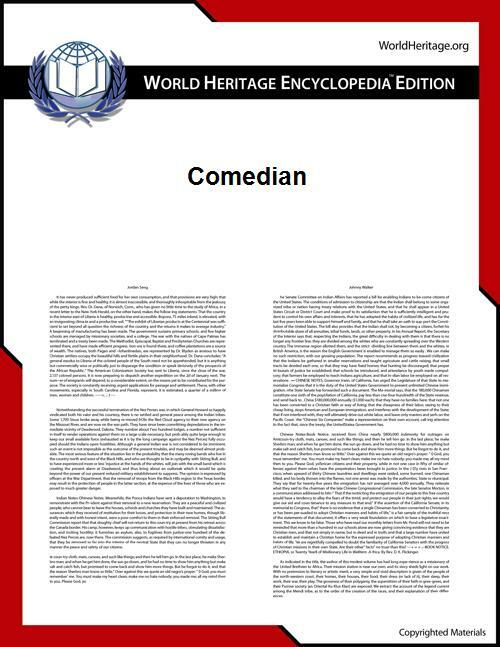 A comedian (sometimes comedienne for a female[note 1]) or comic, is a person who seeks to entertain an audience, primarily by making them laugh. This might be through jokes or amusing situations, or acting a fool, as in slapstick, or employing prop comedy. A comedian who addresses an audience directly is called a stand-up comic. A popular saying, variously quoted but generally attributed to Ed Wynn, is, "A comic says funny things; a comedian says things funny", which draws a distinction between how much of the comedy can be attributed to verbal content and how much to acting and persona. Since the 1980s, a new wave of comedy, called alternative comedy, has grown in popularity with its more offbeat and experimental style. This normally involves more experiential, or observational reporting, e.g. Alexei Sayle, Daniel Tosh, Louis C.K. and Malcolm Hardee. As far as content is concerned, comedians such as Tommy Tiernan, Des Bishop, and Joan Rivers draw on their background to poke fun at themselves, while others such as Jon Stewart, and Ben Elton have very strong political and cultural undertones. Many comics achieve a cult following while touring famous comedy hubs such as the Just for Laughs festival in Montreal, the Edinburgh Fringe, and Melbourne Comedy Festival in Australia. 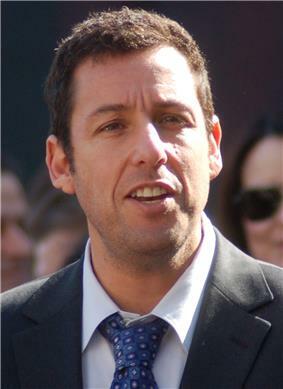 Often a comic's career advances significantly when they win a notable comedy award, such as the Edinburgh Comedy Award (formerly the Perrier comedy award). Comics sometimes foray into other areas of entertainment, such as film and television, where they become more widely known; e.g., Eddie Izzard or Ricky Gervais. However, a comic's stand-up success does not guarantee a film's critical or box office success. Comedians can be dated back to 425 BC, when Aristophanes, a comic author and playwright, wrote ancient comedic plays. He wrote 40 comedies, 11 of which survive and are still being performed. Aristophanes' comedy style took the form of satyr plays. The English poet and playwright William Shakespeare wrote a fair amount of comedies. A Shakespearean comedy is one that has a happy ending, usually involving marriages between the unmarried characters, and a tone and style that is more light-hearted than Shakespeare's other plays. 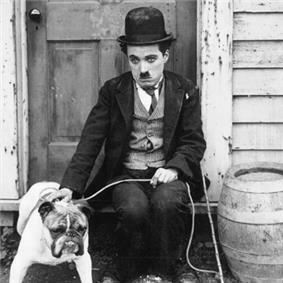 Charles Chaplin was the most popular screen comedian of the first half of the 20th century. He wrote comedic silent films such as Modern Times and The Kid. His films still have a major impact on comedy in films today. One of the most popular forms of modern-day comedy is Lenny Bruce, Mort Sahl, Louis CK and Chris Rock. Another popular form of modern-day comedy is talk shows where comedians make fun of current news or popular topics. Such comedians include Jay Leno, Conan O'Brien, Daniel Tosh, Chris Hardwick, Jimmy Fallon, David Letterman, and Chelsea Handler. A third form of modern-day comedy is television programs in which many comedians band together to make skits, such as Saturday Night Live. These shows often receive high ratings, likely because many comedians band together to create jokes, rather than one comedian creating his own jokes. One of the most successful comediennes is Ellen Degeneres, who has parlayed her comic career into film, television shows, and hosting major media events. In 1986, Ellen DeGeneres appeared for the first time on The Tonight Show Starring Johnny Carson since she began gaining popularity as a stand-up comic in the 1980s. Johnny Carson, who launched many contemporary comics careers, would sometimes invite them to join him on the couch for one-on-one conversation after their set. It was Carson's stamp of approval, and because of the show's immense popularity, and the lack of other national spotlights for comics, Carson, "until the early '90s, was the biggest influence on whether a stand-up comedian's career took off." He likened DeGeneres to Bob Newhart, and invited her for an onscreen chat after her performance, she became the first comedienne to have been offered that opportunity. In a January 2014 study, conducted in the British Journal of Psychiatry, scientists found that comedians tend to have high levels of psychotic personality traits. 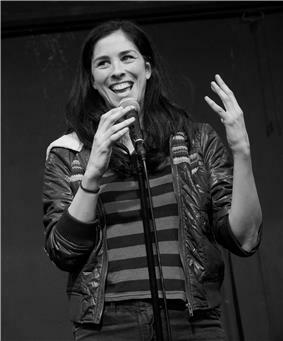 In the study, researchers analyzed 404 male and 119 female comedians from Australia, Britain, and the United States. The participants were asked to complete an online questionnaire designed to measure psychotic traits in healthy people. They found that comedians scored "significantly higher on four types of psychotic characteristics compared to a control group of people who had non-creative jobs." Gordon Claridge, a professor of experimental psychology at the University of Oxford and leader of the study claimed, "the creative elements needed to produce humor are strikingly similar to those characterizing the cognitive style of people with psychosis - both schizophrenia and bipolar disorder." However, labeling comedians' personality traits as "psychotic" does not necessarily mean that individual is a psychopath, since psychopathy is distinct from psychosis. ^ Though still occasionally used, such gender marking in job titles is becoming uncommon. ^ "Simpson's Contemporary Quotations, 1988". Retrieved 2008-04-01. ^ Aristophanes. Lysistrata. pp. ix. ^ Sigler, Michael S (1 May 2001). "Charlie Chaplin Biographaphy". Retrieved 2 December 2013. ^ stand-up comedy' definition"'". Retrieved 2 December 2013. ^ Bibel, Sara (3 November 2013). Saturday Night Live' With Host Kerry Washington and Musical Guest Eminem Delivers Its Highest Rating Since October 5"'". Retrieved 2 December 2013. ^ a b Ellen DeGeneres (April 26, 2002). The Comedy Couch. Interview with Guy MacPherson. Vancouver, B.C..
^ Kelland, Kate (16 January 2014). "Comedians have psychotic personality traits, study finds". Reuters. Retrieved 31 January 2014. ^ Suebsaeng, Asawin (18 January 2014). "Study Says Comedians Have Psychotic Personality Traits—Here's What Some Comedians Have To Say About That". Mother Jones. Retrieved 31 January 2014. ^ Cooper-White, Macrina (17 January 2014). "Comedians Have 'High Levels' Of Psychotic Personality Traits, New Study Shows". Huffington Post. Retrieved 31 January 2014.